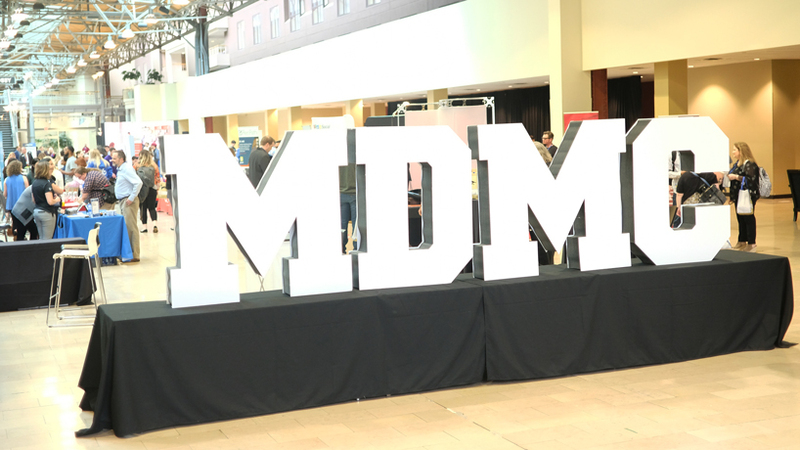 On a frigid Monday morning, Heather Lange and Dejah Mason approached the University of Missouri–St. Louis campus eager to see their friends for the first time in weeks. 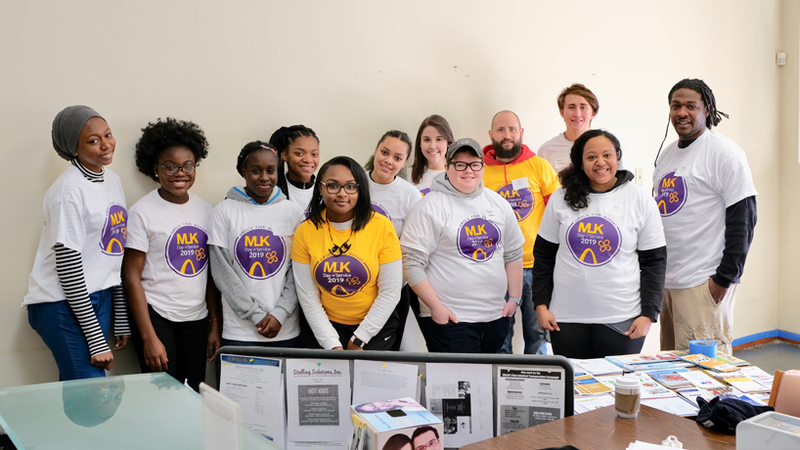 They said hello to fellow UMSL students, grabbed a white or yellow T-shirt, which served as the uniform for the day, and then reflected on the reason behind the gathering: honoring the legacy of Martin Luther King Jr.
Monday’s 11th annual MLK Day of Service brought together 119 volunteers who served at eight sites across the region. Their combined efforts resulted in 373.5 service hours. 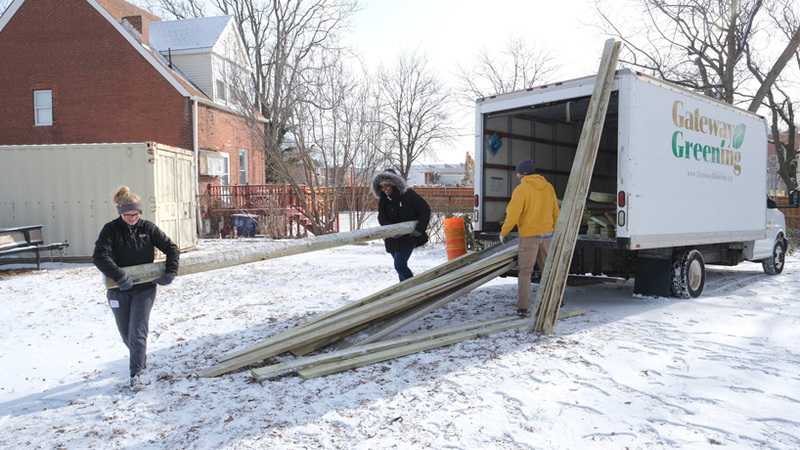 After the introduction on campus, Lange (at left) and Mason traveled to Gateway Greening in Grand Center, where they helped the agricultural nonprofit pack lumber that will be used to enhance community gardens. That excitement filled the Gateway Greening workspace as the all-woman volunteer team helped construct gardening systems and shift supplies. 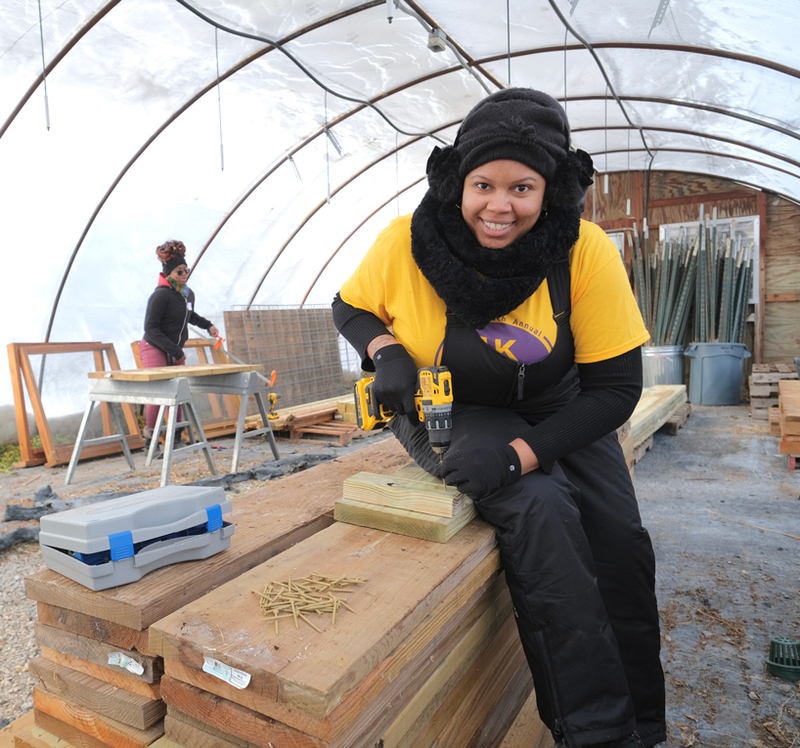 UMSL transfer specialist Stacey Pugh served as a site leader at Gateway Greening and was impressed by the work ethic of her team. About 10 minutes away, 11 volunteers spent their mornings at Gateway Pet Guardians. 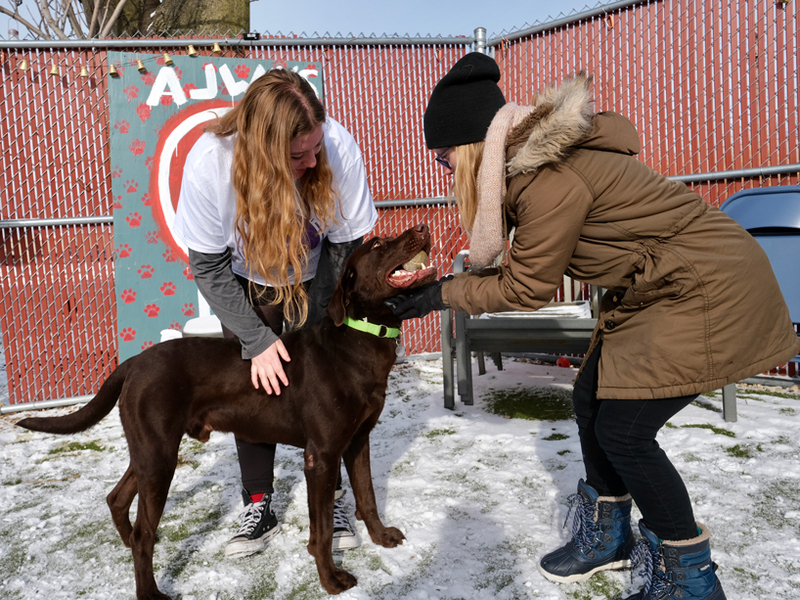 Psychology major Alicia Dzioba (at left) and admission representative Adrienne Groves were part of the group that played with the adoptable pets, helped clean the shelter and organize the facility. Dzioba, who is from California, doesn’t have pets in St. Louis, so she was eager to spend the day interacting with animals. A third team filled the offices of the Near Southside Employment Coalition. 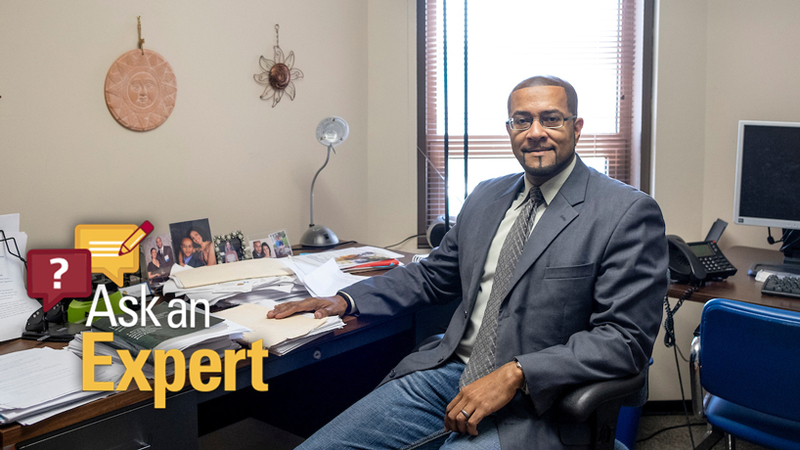 The organization provides comprehensive employment services at no cost to help people find independence through long-term employment. 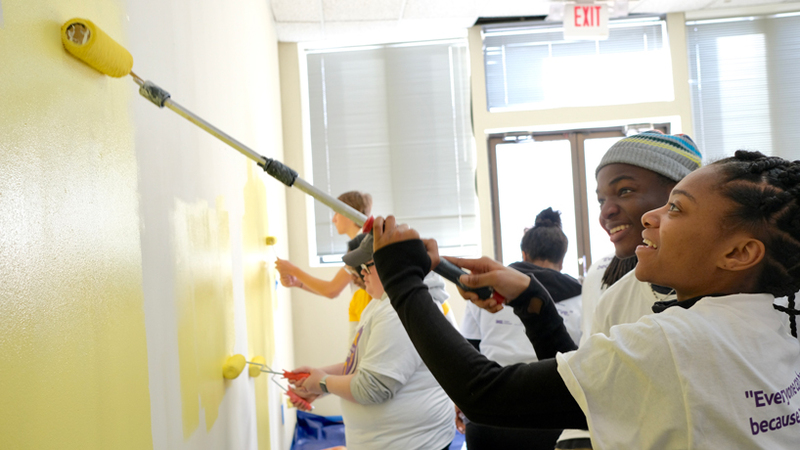 The UMSL representatives brightened the agency by cleaning and adding a fresh coat of yellow paint to the entrance. 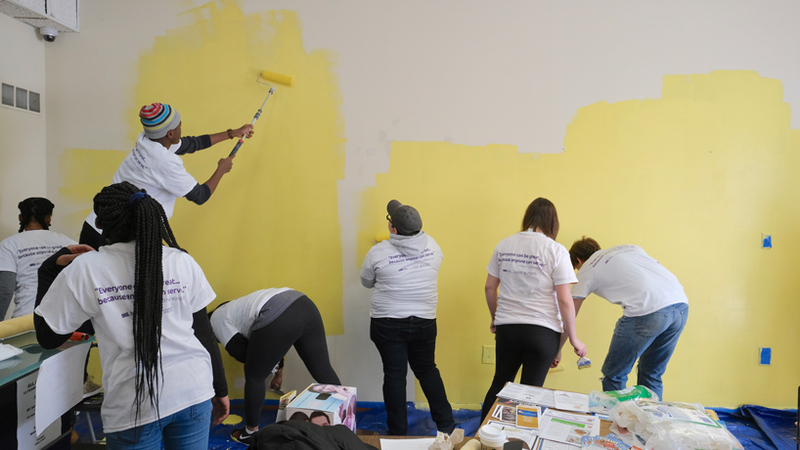 Additional volunteer groups served at EarthDance Organic Farm School, Gene Slay’s Girls & Boys Club of St. Louis, Junior Achievement of Greater St. Louis, Mid-County Family YMCA and St. Ann Catholic School. 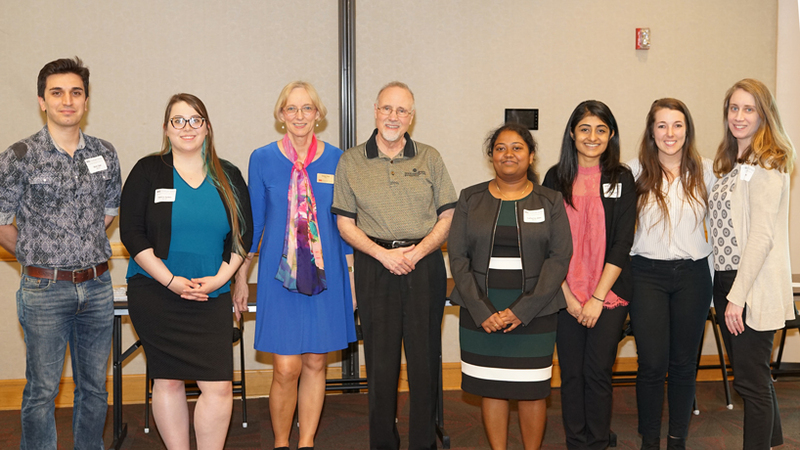 UMSL Students of Service organized the event, which was part of Triton Spring Launch.